The origins of Bird’s Cottage are lost in the mists of time, but work done by Brian Giggins, former Senior Archaeological Officer for Milton Keynes Council seems to indicate that it was built by Phillip Aylesbury as a manor house for the use of his son John. Phillip was Lord of the Manor of Milton Keynes from 1302 to 1349. 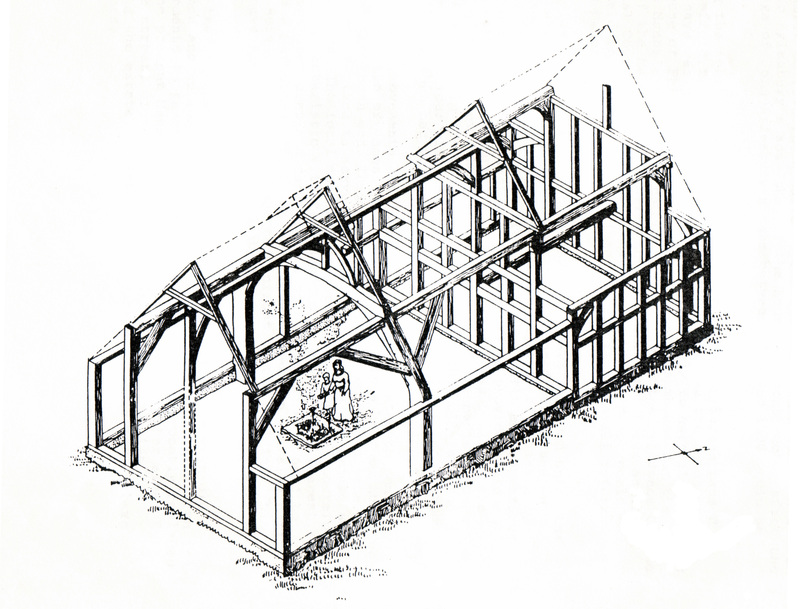 What is undoubtedly true is that much of the surviving timber framing of the building dates from the early fourteenth century as witnessed by the massive base cruck which is still visible on the first floor of the house. This, and the evidence of smoke blackening on the inside of the thatch, seem to indicate that the original construction was as a ‘hall’ house with a central fireplace ventilated by a hole on the roof. Taken together with the historical evidence it seems likely that the date of construction is some time between 1320 and 1330. Much later, the house was used as a base for their carpentry and building business by the Bird Family after whom it is named. The Birds provided building services to the Milton Keynes Estate over several generations. The last active member of the family died in 1977 and after his death the house and builders yard lay unused for several years. 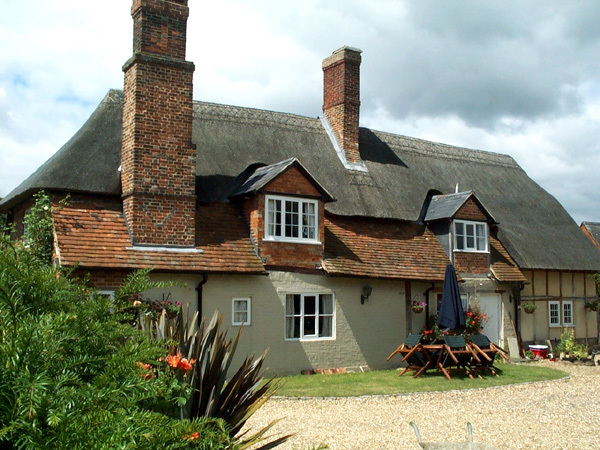 The fact that the family were all in the building trade accounts for the fact that the cottage seems to be much altered and does not show much external evidence of its origins. 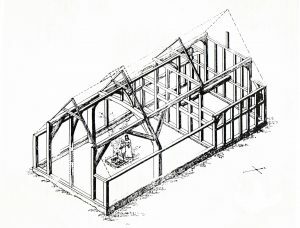 The yard outside contained many outbuildings – notably a thatched barn which was used as the carpenter’s shop. This building was Grade II listed even before the main house but sadly deteriorated so badly it was eventually demolished. Other corrugated iron structures contained a sawshop, a forge and metal-working shop. At the southern border of the yard there was a saw-pit – a forerunner of the powered saws used later.